Green Bean Endurance – Challenge. Support. Celebrate. What is Green Bean Endurance? “Green Bean” is a term coined to describes people who are interested in the sport of endurance riding or perhaps have recently started endurance riding. Perhaps it’s someone who started ages ago and had ‘life’ get in the way. Does that describe you? If so, then you’re in the right place! Our program provides a way for new riders to develop realizable goals in their budding endurance career. Through our program, riders are encouraged to join other riders to form teams who then challenge each other to earn the most points during the season. 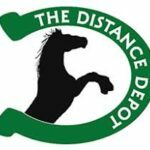 All riders have less than 1,000 combined LD and Endurance miles. GBEC recognizes riders who complete a ‘first’ in their endurance career. Perhaps it’s a first LD, a first 100, or even a first pull. All tries are rewarded with a point scoring system and at year end, a small prize is given to top earning riders and teams. Everyone who earns the minimum points for the year gets a completion certificate and pin. Good luck on your endurance adventure! Saddle up and enjoy the journey – you’ve found the best equine sport around! Compete with other Green Beans for year end prizes. Earn points for not only riding in AERC rides but also for volunteering, finishing an intro, and more! Our program is a place where other new people in the sport can meet and share experiences. We are here to support you. Our program recognizes everyone's path is different. Sometimes just showing up to a ride a major feat! We love to celebrate your successes! For only $15, get a chance at winning monthly flash prizes, earn awards for top riders and teams, and join the Endomondo Challenges. You can also complete Garden Chores to win a tack set! If that's not enough, our members get exclusive discounts to endurance related retailers. Created in 2015 after recognizing the need for a way to connect new AERC members, Green Bean Endurance has grown from 10 teams and 50 members to over 425 members and 60 teams in just 4 seasons. In late 2017, the program was officially recognized by the American Endurance Ride Conference. The program is ran completely by volunteers, who, like you, are AERC members who love the sport and the people. Check out the “Meet your Directors” page for a biography on each volunteer. If you are interested in helping out, don’t hesitate to contact us.